Follow this 1 minute hip flexor stretch now! Does Your Back Hurt When You Stand? Here’s Help! Is Your Pain Because of Adaptive Shortening Syndrome? Get Help For Yourself Here! You’ve come to one of the top leading, self-help sites dedicated to helping you overcome your lower back pain. Get practical and safe techniques to relieve your discomfort without drugs or surgery. Search the tips and menu to begin! Learn what exercises DO help with your pain. Have you been suffering more and more these days from back pain? Now sure what to do? Where to begin? Or even who to get the right help from? 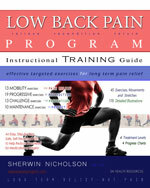 Welcome to Lowbackpainprogram.com, run by myself, Sherwin Nicholson. My goal is to help YOU experience less pain while at home, work or anywhere you want to be. I want to help you become less stiff, tight, injury prone, suffer less back pain, sleep better, remain active, and to get your life back again! Browse this site for help today so you can feel better and have the answers you really need! You can email me anytime & I will always reply promptly! NOTE: This site is for those who need to relieve their chronic pain and want a better plan. If you are already in pain, you’ll learn all of the right ways to release this pain so you can return to your activities. You can overcome back spasms that trigger easily, morning stiffness that won’t go away, pain when you sit or stand and chronic tightness. Learn how you can defeat the misery of recurring pain that can get worse if not treated well. Does Your Back Hurt Every Morning? If you suffer every morning, you need to learn exactly why so you can sleep with much less pain. Learn here, how you can release very tight and weak areas of your pelvis, lower back and hips that keep you awake and in misery. You will sleep deeper, longer, wake up happier, be more productive and enjoy your day more often! Begin now with these effective tips.. If Your Back Hurts At Work Right Now, START HERE. Here are 5 Important Tips & Exercises you can learn to relieve your pain. Learn them quickly and easily AT YOUR DESK! Make your day at the office a lot more comfortable and productive. START HERE NOW. It’s what everyone does almost every day. Some we even teach to others. If you quit these 5 habits, you have much less pain. They are easy to follow with the Rules of Thumb provided. START THEM TODAY and change the way you take care of your back for good. No, you don’t have to torture yourself at the gym! That could make your pain worse. Follow these techniques at home, work or anywhere whenever you need relief. If you have a few minutes to spare, do them! They can make a world of difference! 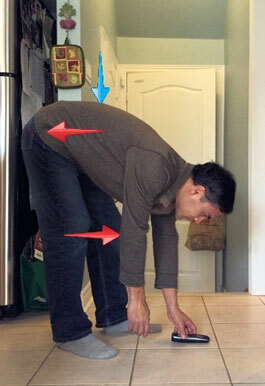 The Back Pain Exercise Page contains photos and detailed instructions for issues you most likely have. These exercises and stretches are easy, short and safe to perform. You’ll only need a few minutes for each of them and patience. Need tips too? 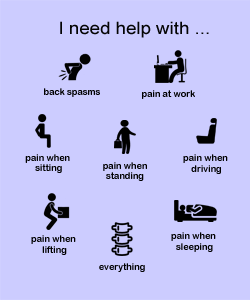 Here are some on back spasms, sleeping, morning discomfort, sciatica pain, and exercise. It’s the one thing that we ALL should be doing properly everyday, yet we RARELY do it until it begins to hurt! The more you practice this simple rule the more you’ll love to do it. Your back will thank you! Can you safely stretch your quads as seen in the photo above? Does it hurt your thigh, pelvis or knee when you try? You’ll be surprised to know that many people with back problems cannot do this without discomfort. And that’s bad news. If you’re too active or not active enough, you can hurt your back! It needs balance. Finding the right balance is key, and does not take very much effort and money to do so. If it hurts for you to do simple activities such as sitting, standing, bending or lifting for extended periods of time, learn these 10 tips now for relief! Your hips and hamstrings may also feel very tight, causing them to hurt more often too. No one likes to stretch, except when they yawn. But when you do it, there is always an improvement that your back can benefit from. Ignore all of those brutal, standard, touch your toes and pull methods. They are dangerous. Many of us do not realize that a common stretch that we are taught to perform is dangerous to your lumbar discs and should be avoided. It is important to avoid this often encouraged method and adopt a much safer one that isolates only the hamstring muscles groups. This stretch is for people who suffer lower back pain…. Read MORE, Go directly to the stretch…. The program that is encouraged here is designed to teach the value of the proper use of your muscles and joints, specifically your leg muscles, hip flexors, back and abdominal muscles. The correct use and function of these muscles are vital to maintaining much-needed flexibility and stability of both your joints and lumbar spine. When these areas do not receive adequate exercises, stretches, and movements, their function, and performance declines. They progressively lose their ability to provide much-needed help and support while performing everyday tasks. 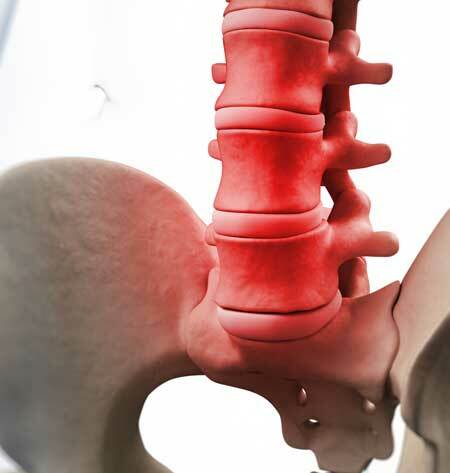 Over time, the spine must sometimes perform beyond its ability and compensate for the lack of movement from the other essential muscle groups and joints. It then takes on a greater workload and endures a longer duration of stress. Other less vital muscles are also recruited to perform. These muscles do not have the ability to perform these tasks as well and therefore begin to fatigue. This results in strain and injury to both the muscles and lumbar spine due to improper use, overuse, imbalances, and weakness. “Exercises and stretching can help ease back pain and greatly reduce the risk of future injury. Strengthening muscles around your back can prevent back strain, and having stronger stomach muscles can greatly reduce lumbar back pain. Anything that will help you do regular work to keep a limber and flexible back can reduce the risk of injury” Sports & Spine Orthopaedics. California, USA. I just wanted to let you know that your program has made me have unbelievable breakthroughs and in only two days. I now realize that my pelvis has been tilting back and up as well as to the right side. Your hip unlocking exercises in particular made me feel something I forgot I could feel. I’m 22 and was having a lot of spinal issues and joint pain which was causing immobilizing suffering but this has already made me have unbelievable relief and hope. You’re a real life saver. I found even the first 10-12 exercises in this program were a great help in relieving pain and spasm in muscles of the lower back, and helping to wake to a more mobile back in the morning. If you have disc problems diagnosed by MRI and have had serious pain episodes from doing ‘stuff you used to do with no problem’, start slowly and don’t overdo it. The more advanced exercises can wait, start with the basic ones that are at the beginning of the book. You should find they help your posture and loosen up muscles that need it. This book really helped me when I had a back ache for over 6 weeks. I did the stretches and they were so phenomenal in reducing my back pain. This book is a lifesaver for anybody with chronic lower back pain. I have suffered from lower back pain for 6-7 years and nothing I tried (physical therapy, yoga, swimming) provides any meaningful lasting relief. Found this book about 10 days ago and have been following the exercises in this book; it is like magic and I have been pain free for the last week. After many years, I am sleeping well at night and wake up energized and ready to take on the day. Having done a lot of PT and yoga in the last 5 years, I find that many of the exercises in this book (hip-shifting in particular) are totally unique and are very effective in precisely targeting the problem areas. I just want to say a huge thank you for your e-book. It is the holy grail I have been trying to find for 15 years. On day one of your paln, I did the first half of stage 1 and my lumbar spine became unlocked for the first time I can remember. For a few hours, I knew what it was like to be pain free. The next day, the locked up feeling had returned but I fully respect the fact this is a long term plan and there are no quick fixes. I am now on day 5 and I am already noticing an improvement in my posture and reduced pain. I have hypermobility issues so whilst I am quick to become misaligned, I am also quick to recover if the treatment is right. > I am very confident this will work and that I will eventually become pain free. This programme is a must for anyone with low back pain. I have probably spent £1000’s ($) trying to get an answer for my back only to find this plan for a ridiculously low price. IMPRESSION: I was so relieved when I downloaded this ebook because I felt like I was finally doing something about my back pain. There was so much that I didn’t know and this ebook helped me learn more about what could possibly be causing my pain. I was shocked to find out that even though I have acute pain (meaning it is short and temporary) my underlying problem is actually chronic. You should read it for self, you won’t be disappointed. These exercises will not only benefit your back, but will also benefit your abs, legs and core. In my opinion, whether you have back pain at this time or not, this book would benefit all of us. It will help some and work as a preventative course for others. I was glad I found this book because with so many other things to pay for sometimes paying for a chiropractor or constant doctor visits can be expensive, when you can just use the exercises at home! The challenge that we have now is to find the correct techniques and exercises to perform to reverse this painful condition. Most back pain suggestions available (although with very good intentions) are either too strict or too difficult to perform. The user quickly finds the exercises challenging, fatiguing or painful to perform. They then stop and continue to struggle to find the correct help. Incorrect exercises have the same effect and consequently result in the return of your pain. If you have significant concerns about whether or not an exercise program is a right option for you, you are not alone, your comfort and present level of injury to your back is a serious matter. However, this program is NOT a workout; it is rather a rehabilitation routine that you self-learn at your own pace and comfort level. It is unique to those who are already hesitant and require a very safe pace in their recovery. For more, see, Concerns about Exercise, More Concerns and Why Exercise? This Program helps to avoid this common problem and to provide careful, safe and easy exercises that can be done at your own pace as your pain level decreases. I wrote this book to empower back pain sufferers with the right techniques to relieve and protect themselves from chronic back pain. I also struggled with severe chronic back pain for over 10 years. This pain made everything that I wanted to do in life difficult. Unfortunately, there was very little effective support for my pain, so I developed my own exercises and have been pain-free for over 6 years now. The pain relief that my help (eBook) has brought to my customers has been overwhelmingly successful for them. For this, I am very grateful to be part of the lives of so many in need.